Oct. 18, 2017 6:10 a.m.
“Gord knew this day was coming — his response was to spend this precious time as he always had — making music, making memories and expressing deep gratitude to his family and friends for a life well lived, often sealing it with a kiss … on the lips,” the statement said. Downie spent the last chapter of his life raising funds for brain cancer research and advocating for the rights of Canada’s Indigenous Peoples. The last chapter of his career found Downie using his time in the spotlight to focus more attention on the issues facing Indigenous communities in Canada. 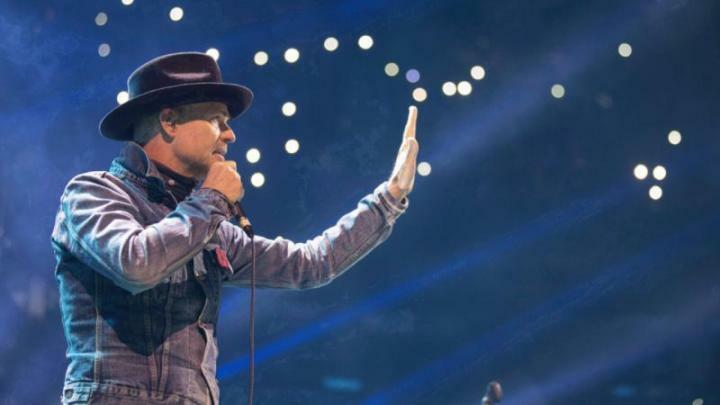 In the aftermath of the shocking May 2016 announcement that Downie had been diagnosed with terminal brain cancer the band said it would mount a tour — which many assumed would be the Hip’s last. Interest was off the charts and tickets sold out nearly immediately. Despite conflicting with its coverage of the Summer Games in Rio, the CBC broadcast the last show of the tour live, in the Hip’s hometown of Kingston, Ont., and thousands of fans also attended public viewing parties across the country to experience the band’s swan song. The Tragically Hip’s last release, ”Man Machine Poem,” won the Juno for rock album of the year and the band also took home the group of the year prize, which was its third time winning the award among 11 nominations. He dabbled in acting with roles as a police officer in “Trailer Park Boys: The Movie” and as a recovering cancer patient in the drama “One Week.” Prior to “Secret Path” he had cultivated several other solo projects, starting with the album ”Coke Machine Glow” in 2001, released with a companion book of poetry; ”Battle of the Nudes” in 2003; and “The Grand Bounce,” credited to Gord Downie and the Country of Miracles, in 2010. Downie’s final public performance was in February as a surprise guest during a Blue Rodeo concert at Toronto’s Massey Hall. Singer Jim Cuddy introduced Downie before he joined the band in a rendition of their 1992 hit ”Lost Together,” alongside members of the Sadies. As the song finished Downie kissed and hugged his fellow musicians, waved to the audience and left the stage.